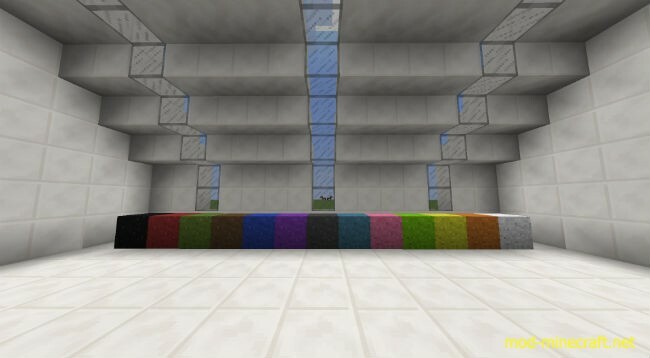 Paint Everything Mod is a mod intended to simply supplies more colors in your Minecraft world. 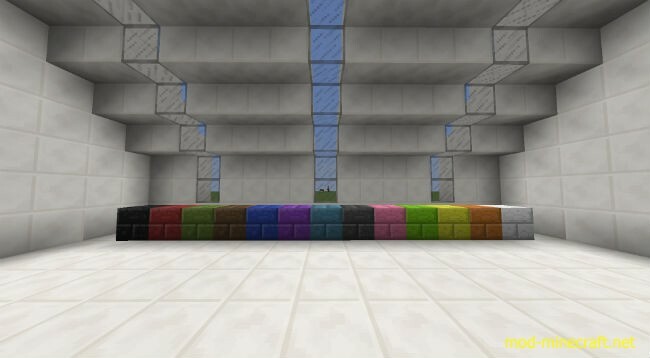 This mod adds +282 new colored blocks/items to give you a variety of options when building your awesome creations. Do you want to use some Green Stone in your garden? How about some nice White Brick Stairs to replace those dull stairs you already have? 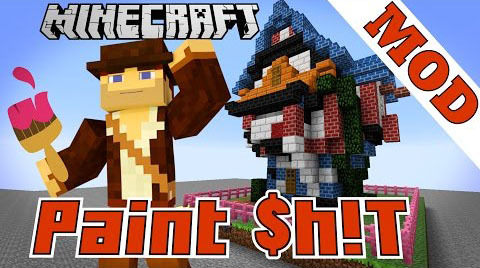 Well, with Paint Everything Mod, you can simply craft up some paints and some brushes, and you are ready to go. After crafting some paint cans, its time to fill them with paint. To do this, you simply grab a color dye of your choosing, combine it with an empty paint can, and there you go! It’s time to do some painting. You can’t just go around throwing paint on blocks. 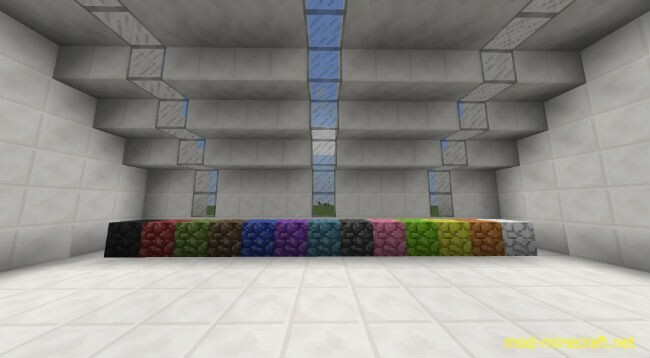 We need to craft up some paint brushes in order to color those blocks. You can simply shear a couple of sheep (or kill them, if you?re that kind of person), grab a few sticks, and your set. Now that you have necessary items to get started in Paint Everything. It’s time to get started painting. First, you should combine your clean paint brush with any colored paint can, and you are ready. You take that paint brush, walk up to a block, and wallah. You’ve got yourself a painted block. If you would like to return the block to its original state, you simply make a paint scrapper and scrape off the paint, or paint over it with a different color. 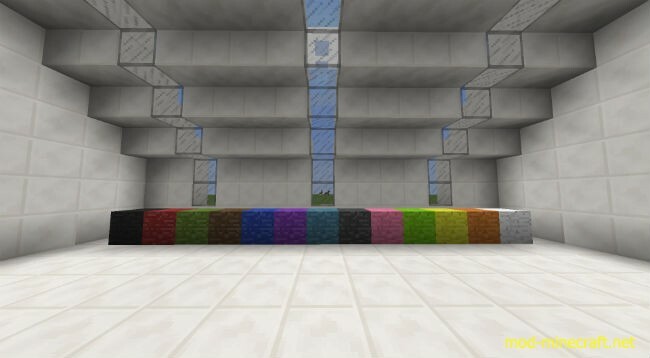 Every block that can be painted comes in 15 different colors. 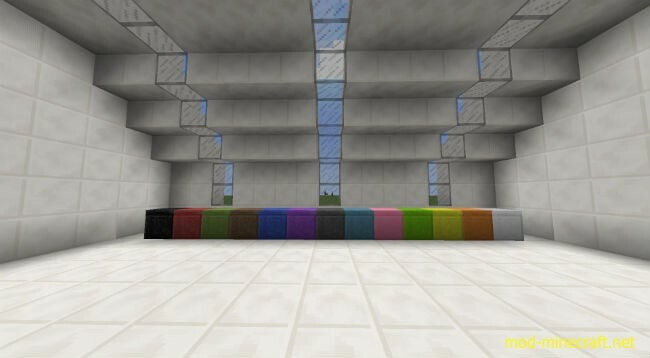 These colors are Black, Red, Green, Brown, Blue, Light Blue Purple, Gray, Light Gray, Cyan, Pink, Lime, Yellow, Orange, & White.